Everybody thinks you got them at a bakery but the surprise is they’re easy! Make your own Vanilla Press Cookies - and you’ll be the sensation of the season. Enjoy! 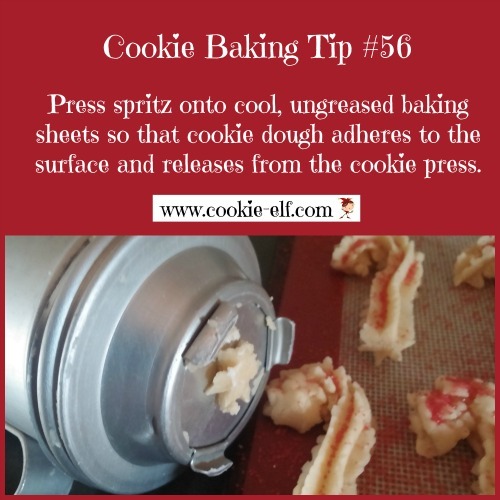 Vanilla Press Cookies - sometimes called “spritz” – are made from a buttery dough pushed through a cookie press to form the cookies. 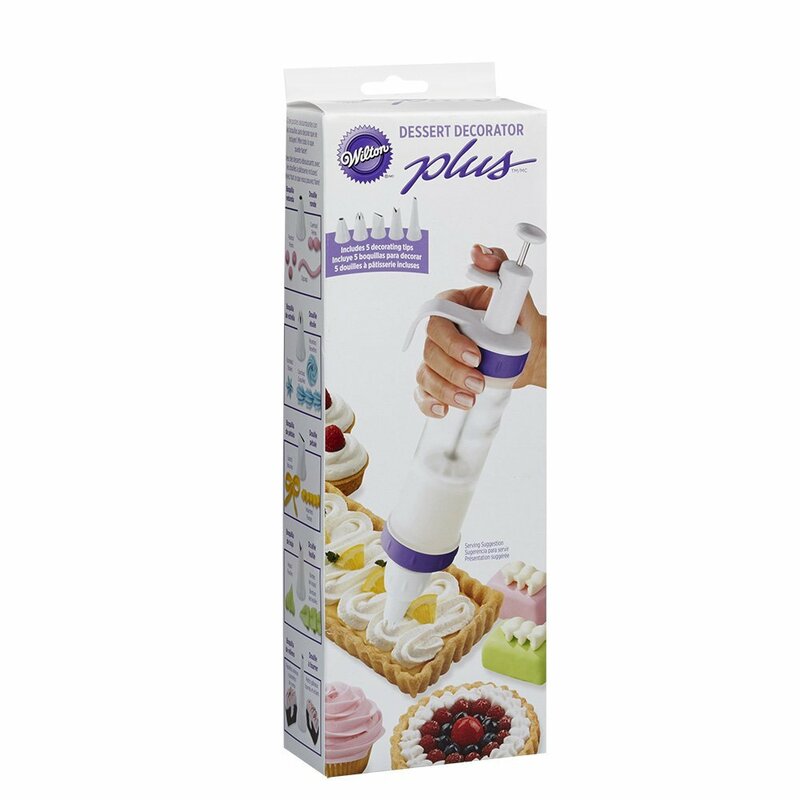 You can change the cookie press disks to produce different cookie shapes, depending on the season or occasion. 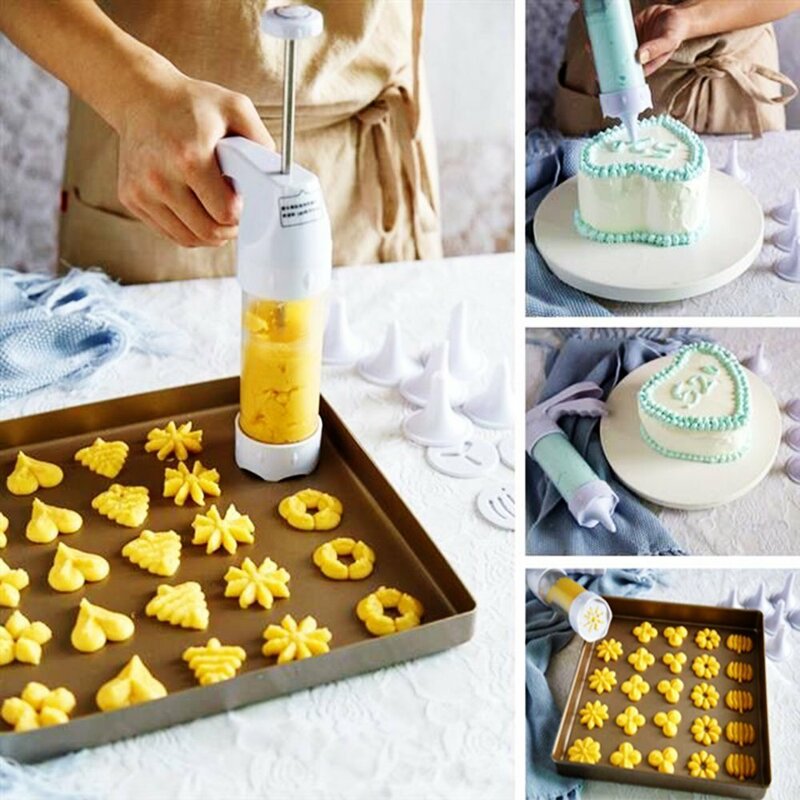 Yes, most cookie presses come with tree-shaped disks that are perfect for making Christmas trees. 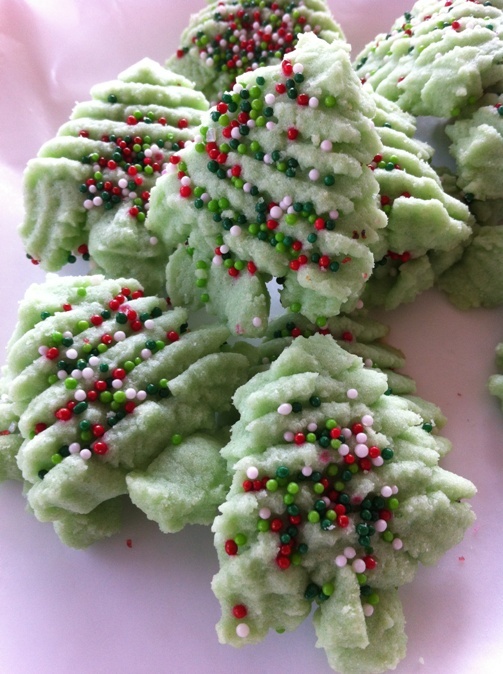 Add a drop or two or three of green food coloring and sprinkle the cookies with nonpareils or decos. If you’ve never made press cookies before, try them. They’re a lot easier to make than you may think when you use these tips. 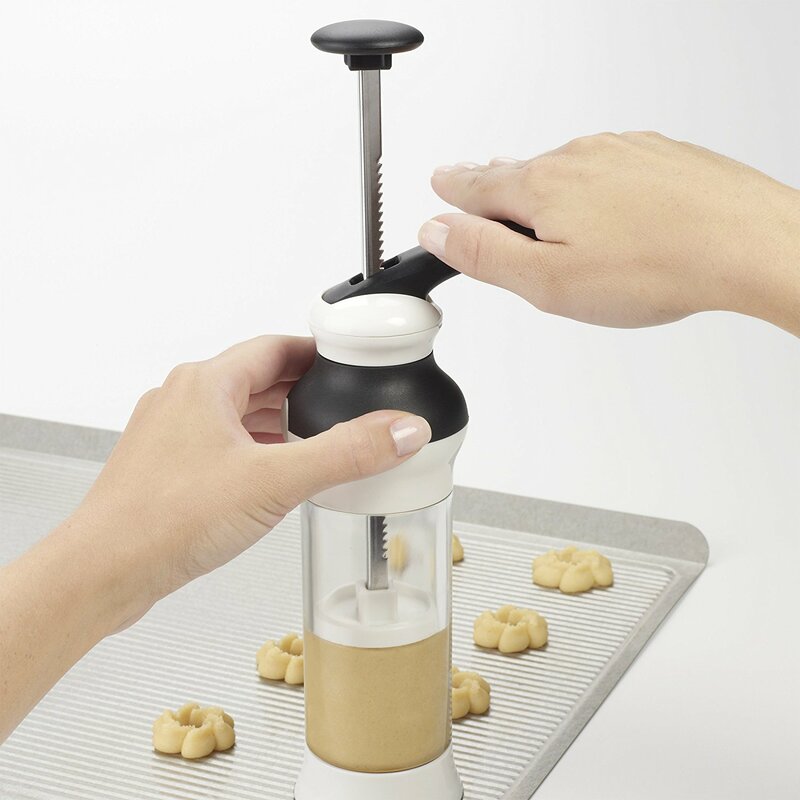 A cookie press (sometimes called a cookie gun) can be inexpensive and you’ll use it for years. Get the full recipe for Vanilla Press Cookies … and check out our Spritz Pinterest board for more easy cookie recipes you can make with a cookie press. Start Up the Presses – Cookie Presses, That Is!